Starting from the 1st of July 2019, all foreign guests coming to Russian and leaving the country through Kaliningrad region will be able to apply for an e-Visa. The electronic Visas has already been introduced the Free Port of Vladivostok in the previous year. In Vladivostok the e-Visa comes into force for 30 days since the receipt of the Visa and allows the eight-day on the Russian territory for the citizens of Algeria, Bahrein, Brunei, China, India, Japan, Kuwait, Mexico, Morocco, North Korea, Oman, Qatar, Saudi Arabia, Singapore, Tunisia, Turkey and the UAE. 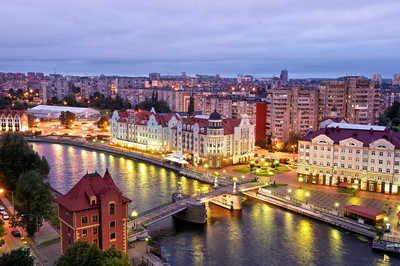 The list of countries, who will be able to apply for an e-Visa to the Kaliningrad region, will be published later, has commented Mariya Zakharova, the representative of the Ministry of the Foreign Affairs in Russia. The Kaliningrad region is separated from Russia and is located close to the Baltic Sea, bordering with Poland and Lithuania. Kaliningrad is rich for the historical landmarks, there are several theaters and museums, including the unique museums of Amber and the World Ocean.